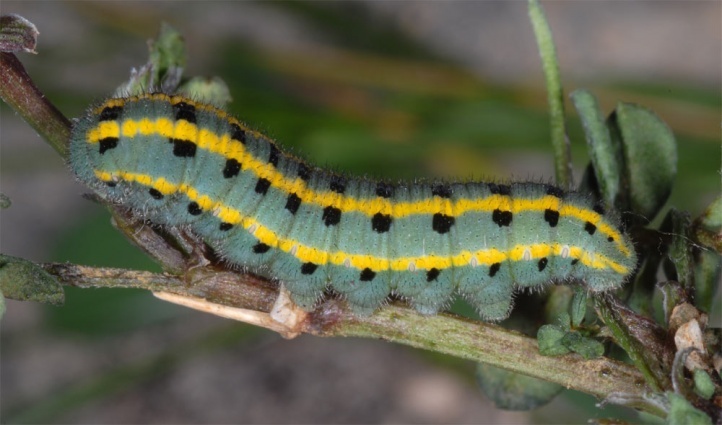 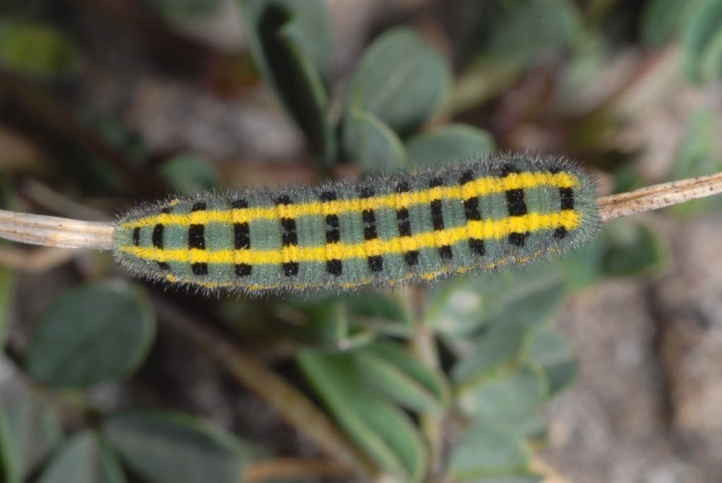 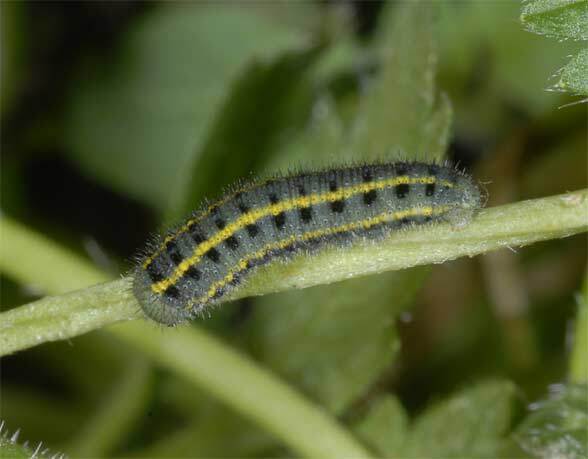 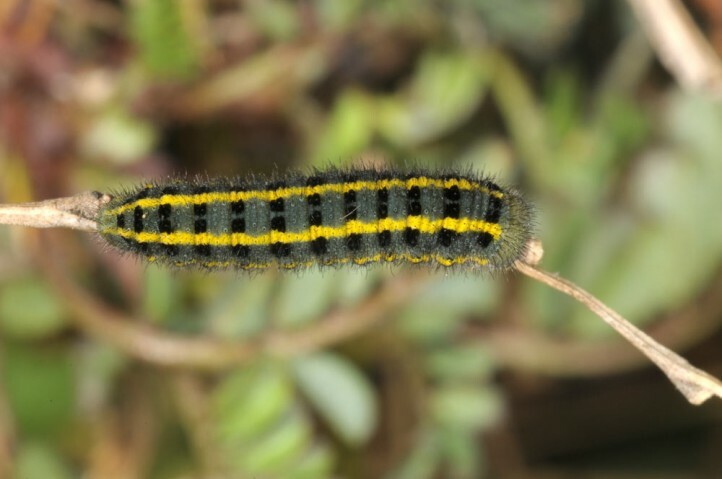 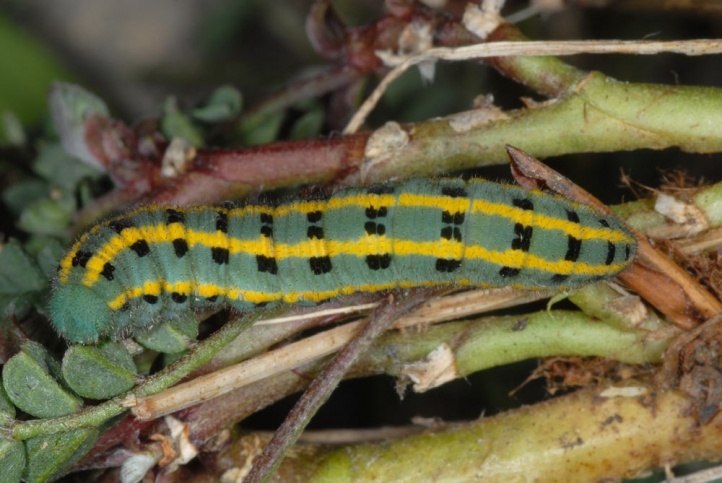 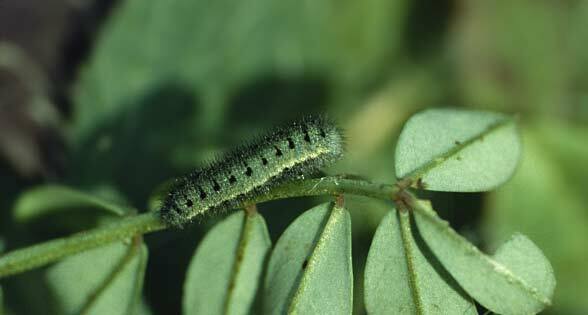 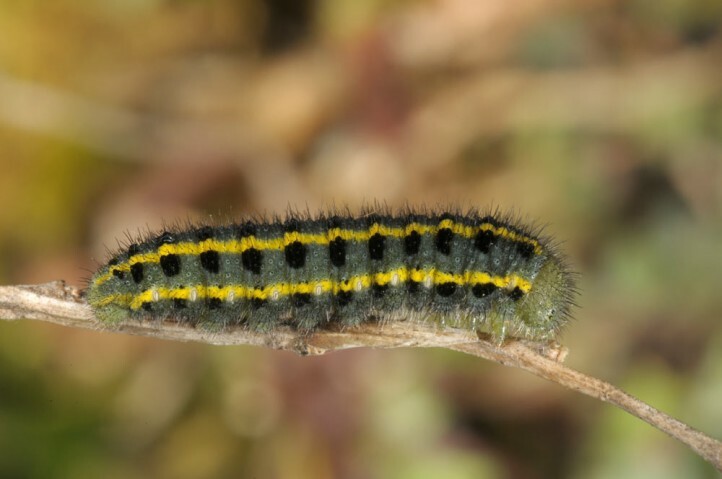 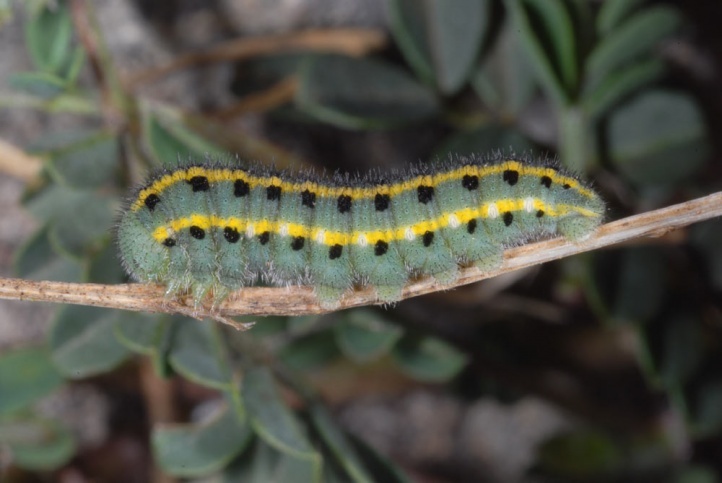 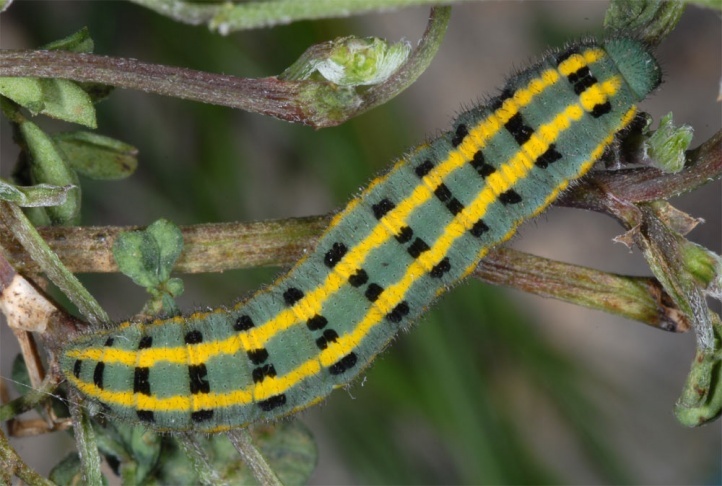 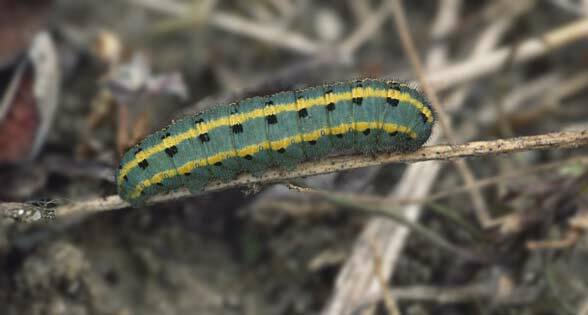 The caterpillars feed on Hippocrepis comosa, more rarely also on Coronilla varia. 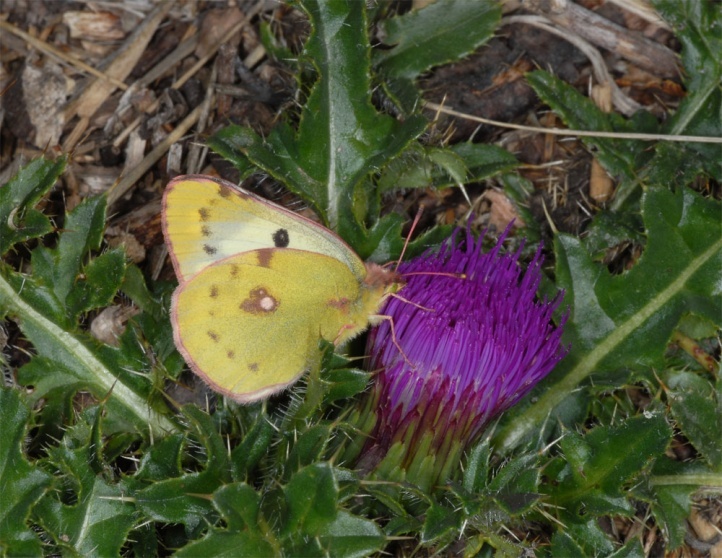 Colias alfacariensis inhabits limestone grasslands and pastures up to 1900m above sea level in the Alps (but mostly lower than 1600m above sea level). 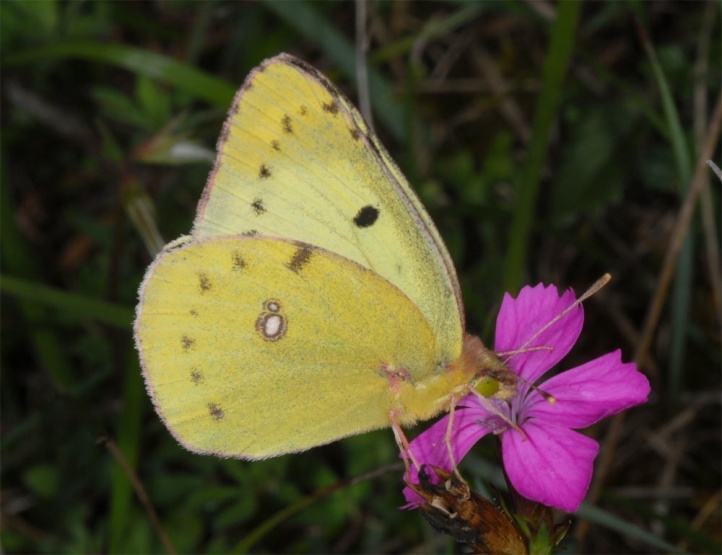 Colias alfacariensis flies in two or three generations per year from (late April) May to October. 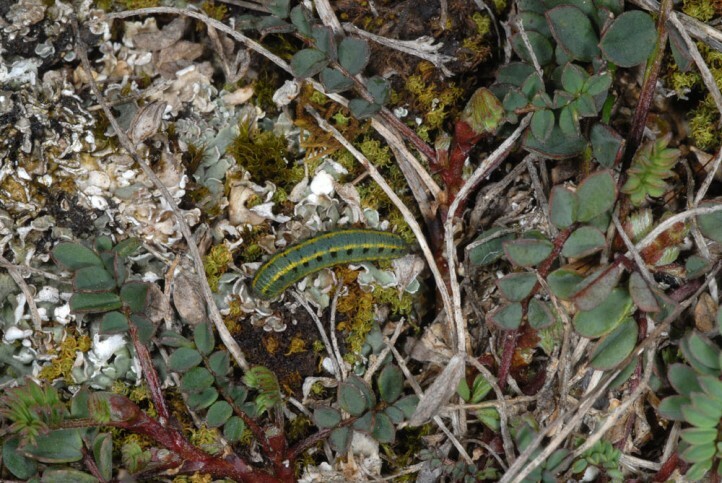 Hibernation takes place as a young larva (L3) which is active again very early in the sunshine in late February. 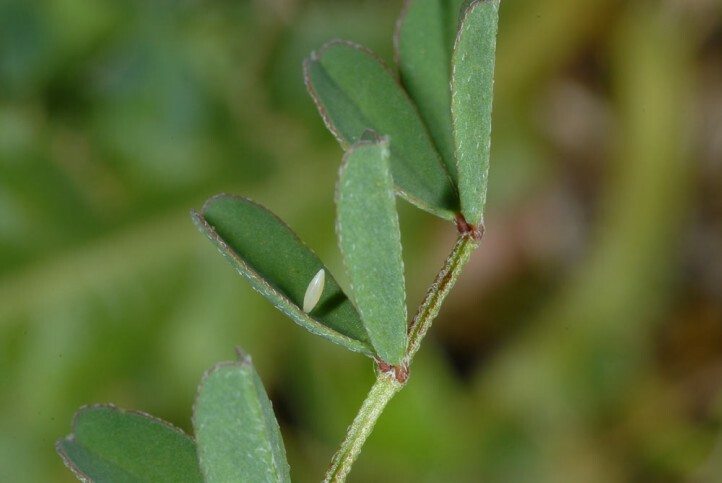 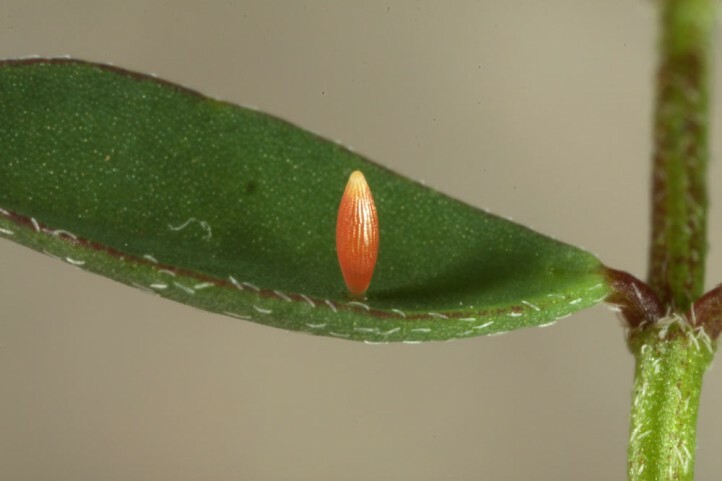 At this time only Hippocrepis but usually not Coronilla have eatable green leaves, the first is probably much more important for the populations than the former. 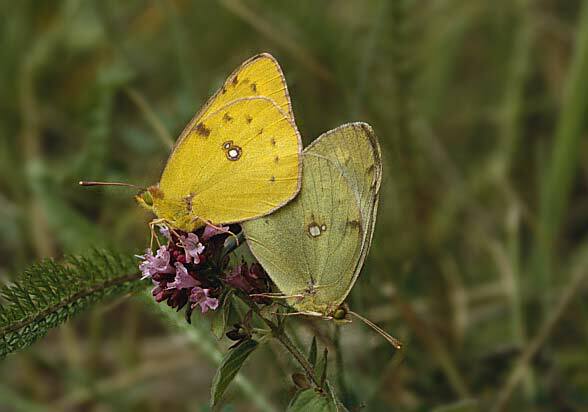 Colias alfacariensis is found in the vast majority of calcareous grasslands in Central Europe and is also common in the Alps. 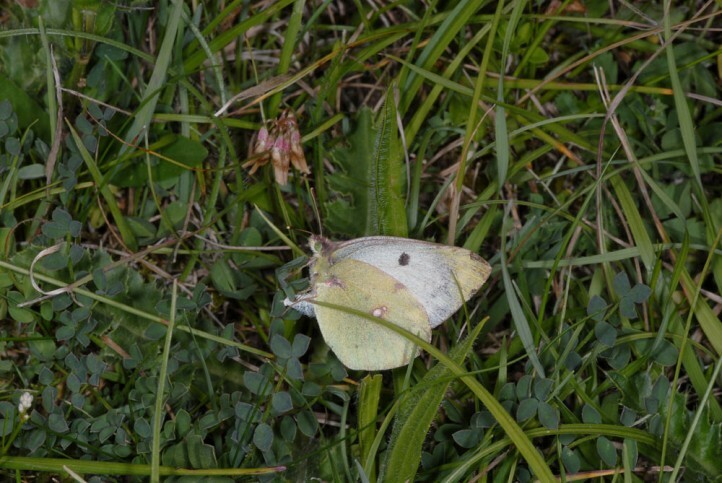 But generally Colias alfacariensis is in decline outside the Alps due to loss of nutrient-poor grassland because of the well known reasons (intensification, afforestation, succession, overbuilding because of industry, housing development or streets). 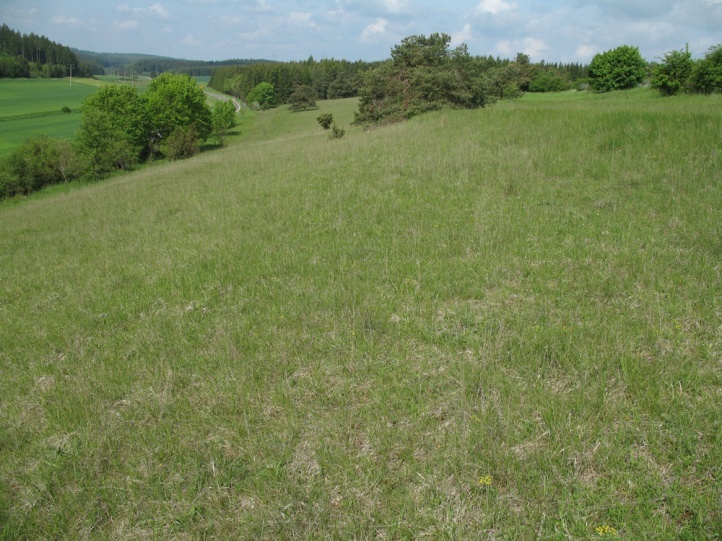 In the northern foreland of the Alps for example there is a strong decline because of the destruction of calcareous grasslands especially in former floodplains. 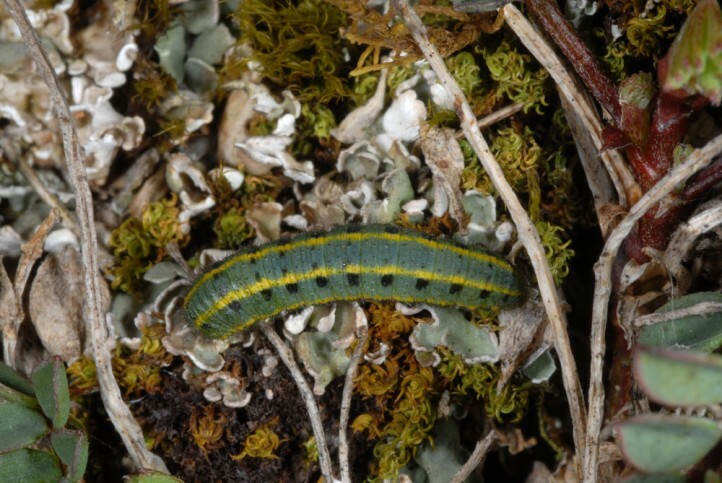 In the Iller valley Colias alfacariensis is thus virtually eradicated. 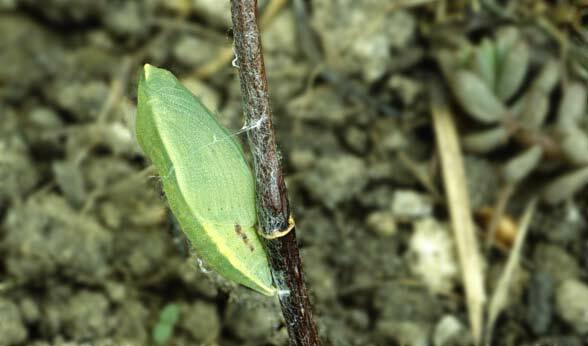 Colias alfacariensis is easy distinguishable from other Colias in the larval stage, but also the males with enough experience. 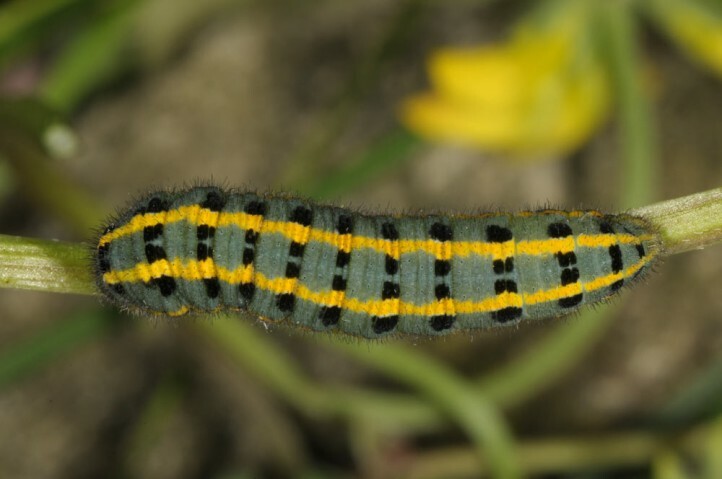 More difficult are the females. 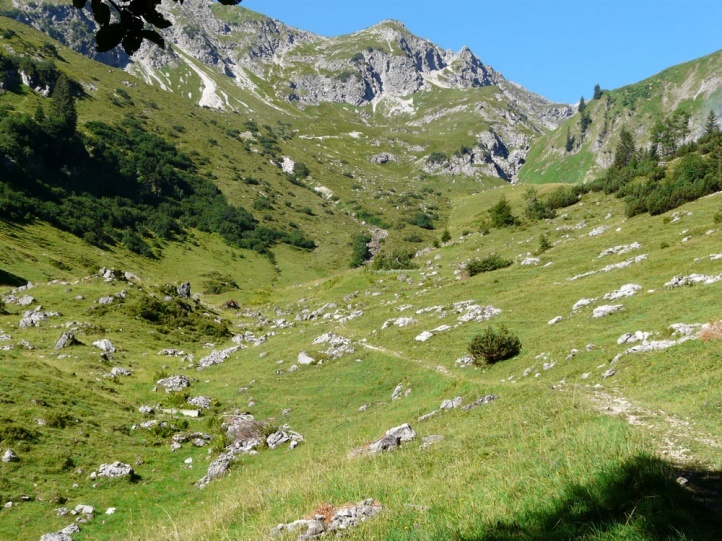 The overall distribution ranges from Central and Southern Europe until well into Asia.